They will inflate to approximately 12" diameter. These are helium quality balloons. 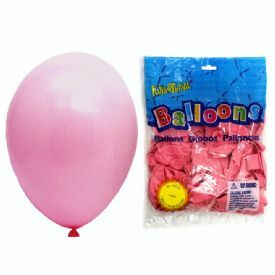 Unit comes 50 Pink balloons in a poly bag.